His fierce eyes gazed at the audience, moving his head from left to right, legs front to back balancing in unison, jumping from one pole to another. As I sat down in my seat in awe of this dazzling performance, the crowd went berserk hooting and applauding in the loudest possible manner for the two lions. It was a mesmerizing sight for me as well. 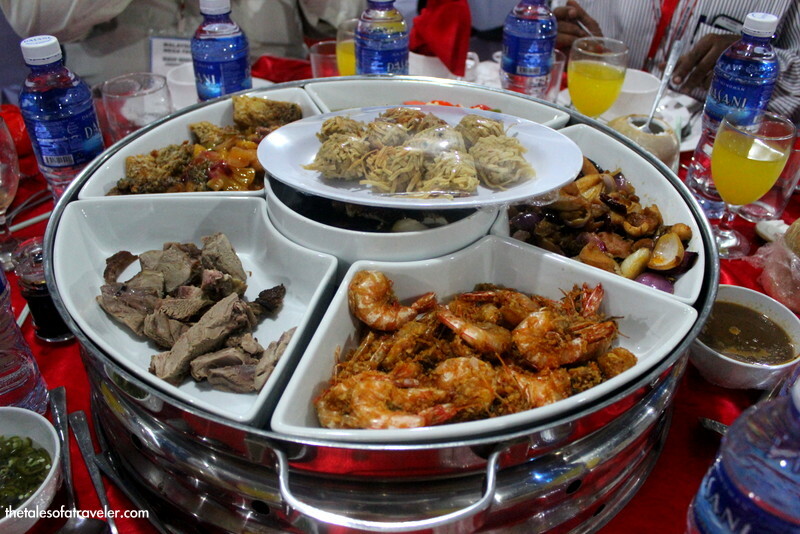 In the month of February, I was invited to the Chinese New Year Open house Celebration organized by Tourism Malaysia. 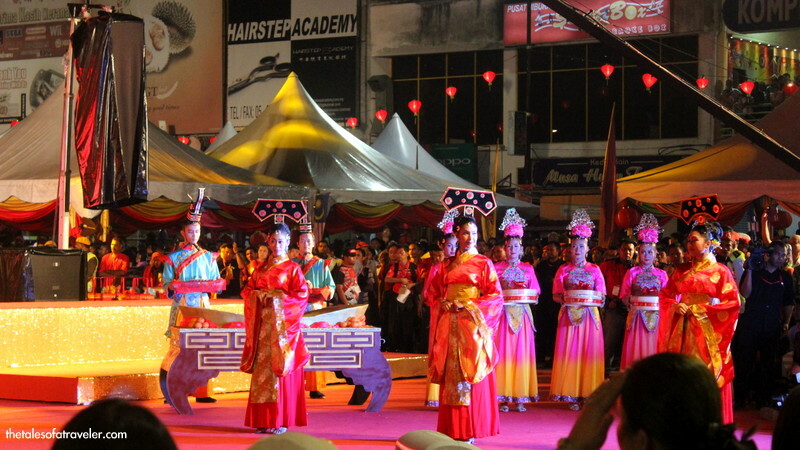 Little did I know that Chinese New Year Open House – 2015, Perak is celebrated in such a grand way. Malaysia is known to be a country where people of different faith and religions coexist in peace and harmony. Not only do they live in peace but also celebrate each others festivals with equal enthusiasm and spirit. 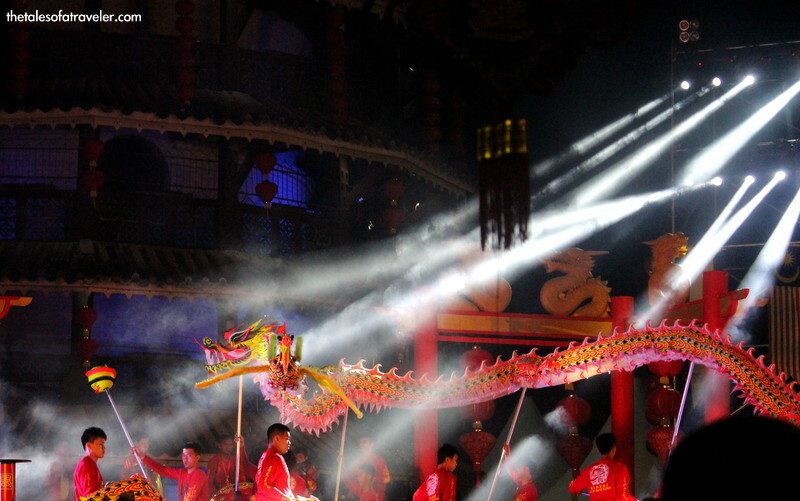 Chinese New Year is undoubtedly one of the biggest festivals, especially for the Chinese community, which is celebrated on the first day of the lunar calendar with each year ushering in a zodiac animal ruling sign. For the year 2015, it is the year of Goat. Before the celebrations begin, people clean their houses thoroughly. This is a symbolic representation of bidding farewell to the old year, this is also called as sweeping the dust. On the new year day, people are busy decorating the duilian (a pair of scrolls with poetry written in it). People also give out money in red packets to friends and family. Houses are open for friends and family to visit irrespective of caste and religion. 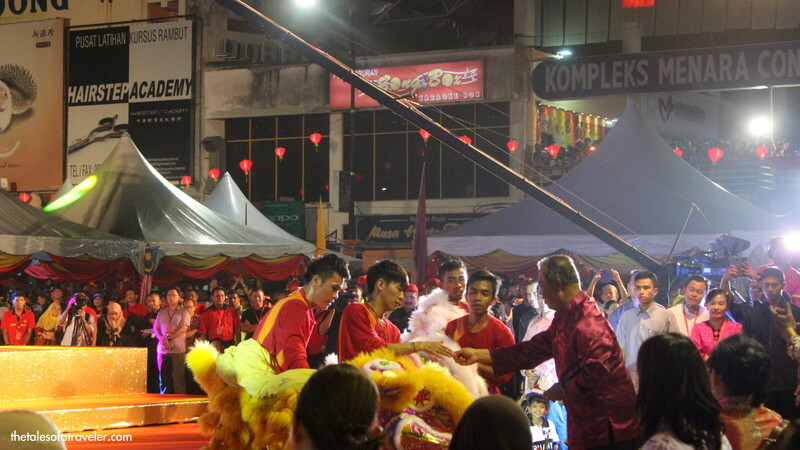 People spend time by playing cards and watching lion dance. Our entire group was taken from Felda resort straight to the site where this year’s Chinese New Year open house celebration was to be hosted. 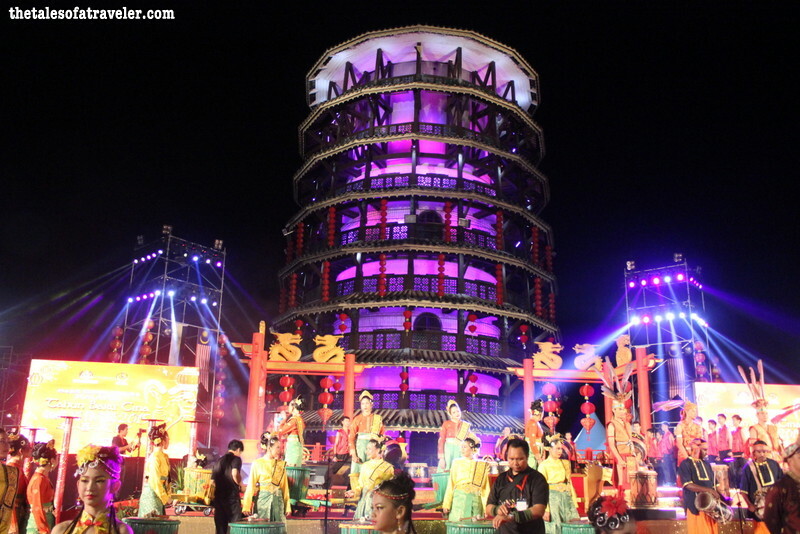 Teluk Intan Leaning Tower is around 2 hours from the city of Ipoh. It was already 7:00 PM by the time we reached the leaning tower. 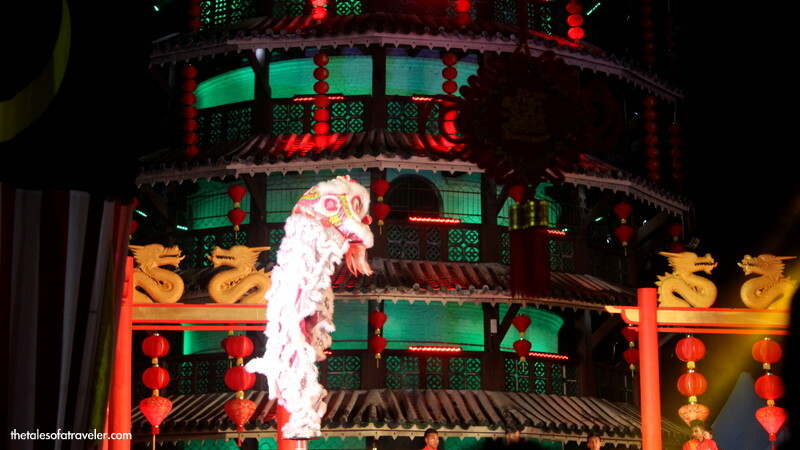 There was a festive atmosphere all around the city, Chinese lanterns popping up everywhere around town, shops, hotel and especially every home was decorated. 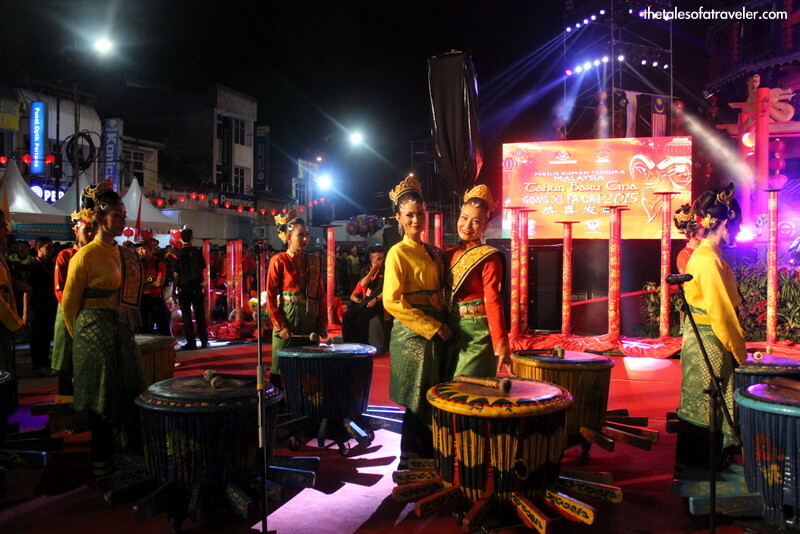 It seemed as if the entire city was painted in red and gold during this period, with the beautiful decorations. We were escorted by the security personnel to the venue. 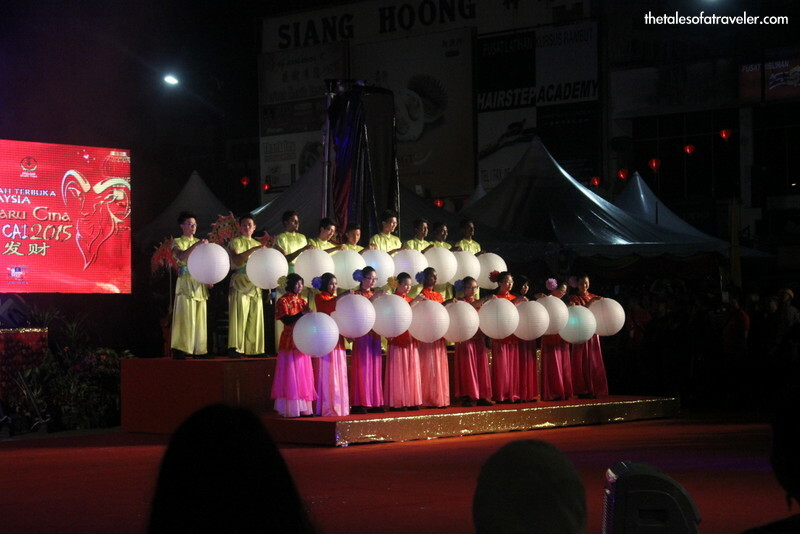 The streets were covered by ascending lanterns and the crowds had gathered to watch the spectacular performance lined up. There are other elite guests too who were attending the event like YB Dato’ Seri Mohamed Nazri bin Tan Sri Abdul Aziz, Minister of Tourism Malaysia, YB Dato’ Seri Liow Tiong Lai – President of Malaysia Chinese Association (MCA), YAB Dato’ Seri Diraja Dr. Zambry Abdul Kadir, Chief Minister of Perak and none other than YAB Dato’ Sri Mohd Najib bin Tun Haji Abdul Razak, Prime Minister of Malaysia & YABhg Datin Sri Rosmah Mansor. Being a part of the Media delegation has so many added advantages ;), we were just a couple of feet away from him. After greeting and meeting few people, he was accompanied by his security to the stage to address the crowd. 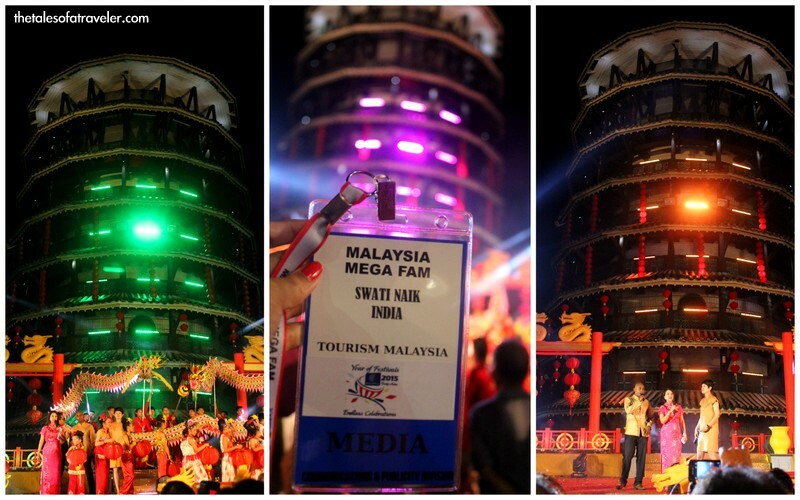 He welcomed all the media personnel from International destination who had come to Malaysia to be a part of this event. 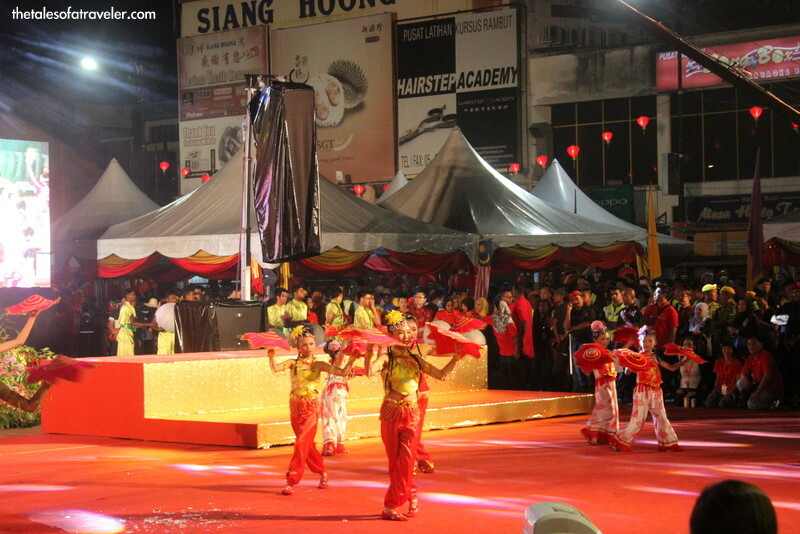 The stage was decorated with lights of different colors and adding to the charm was the backdrop of the stage, the Teluk Intan. The contrasting colors of the lights created a magical view apt for the performance to come. 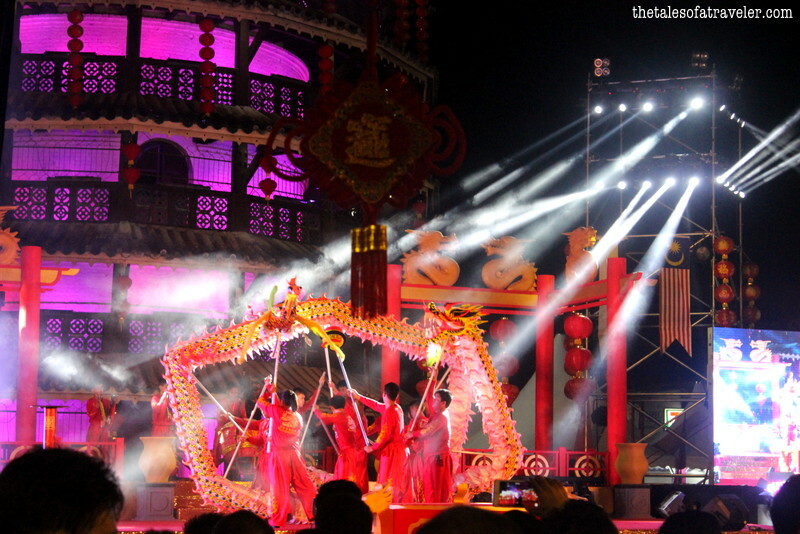 The brief speech by the Prime Minister was followed by the dazzling performance of the Dragon Dance, Martial Art display, and Chinese acrobatics. The crowd also grooved to Tamil and Bollywood songs of the like of Chammak Challo from Ra One and some other movies. 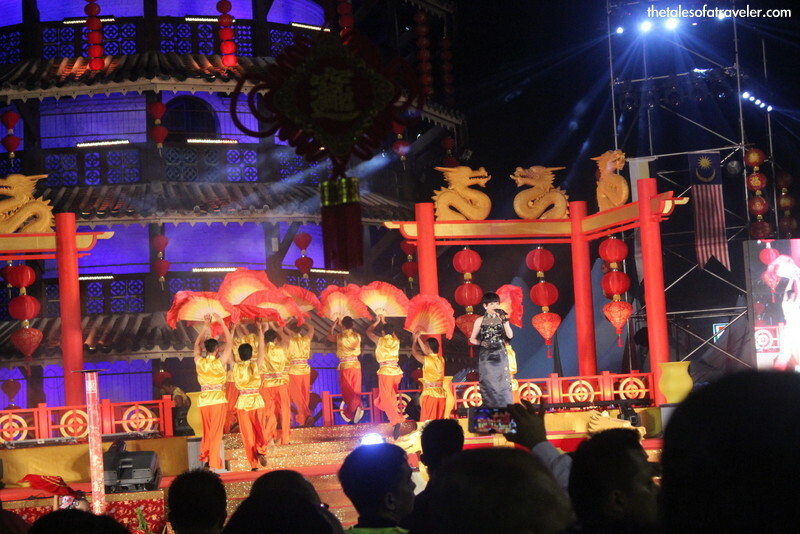 As we sat to enjoy the show our guide told that people of Malaysia love Shahrukh Khan and Bollywood music, it’s evident from the fact SRK has been conferred with the title of Datuk. 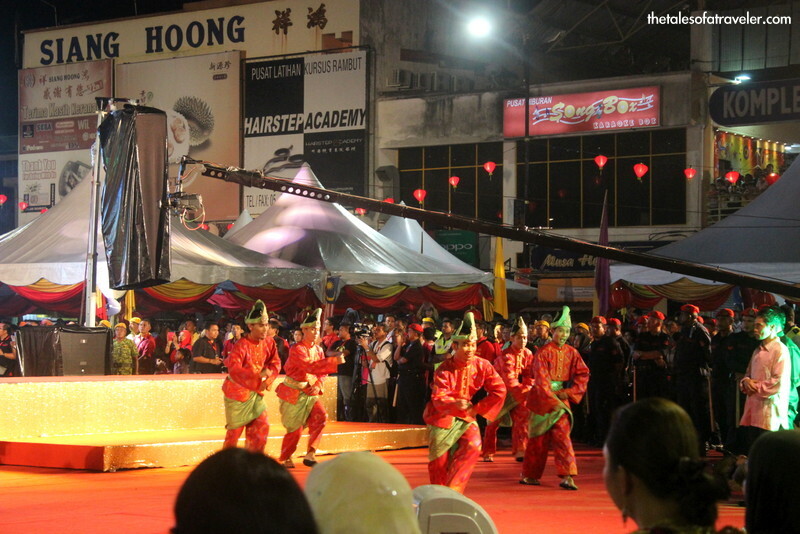 It was the turn of the Lions to entice the audience with their well coordinated and majestic moves on the iron poles. 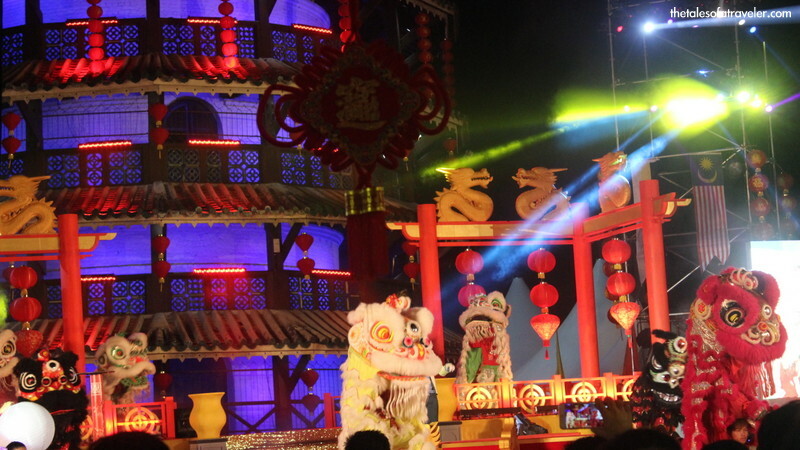 Lion dances are performed by two skilled dancers who superbly balance the act and coordinate on poles delivering a mind blowing performance. 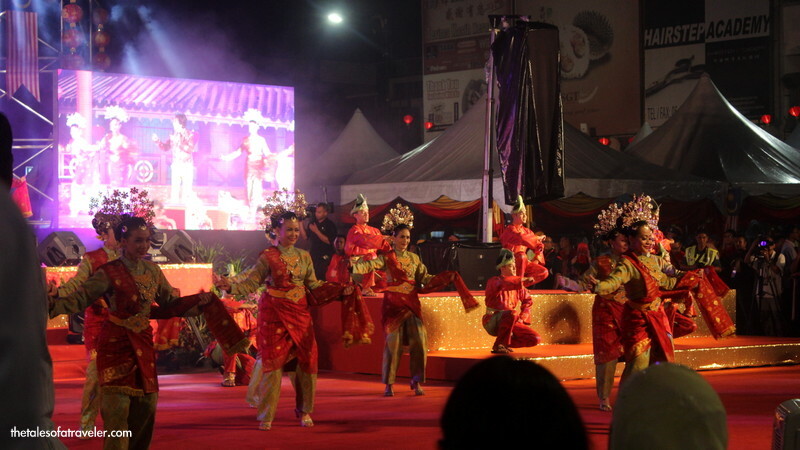 The performers being rewarded with money as a token of appreciation by the PM. 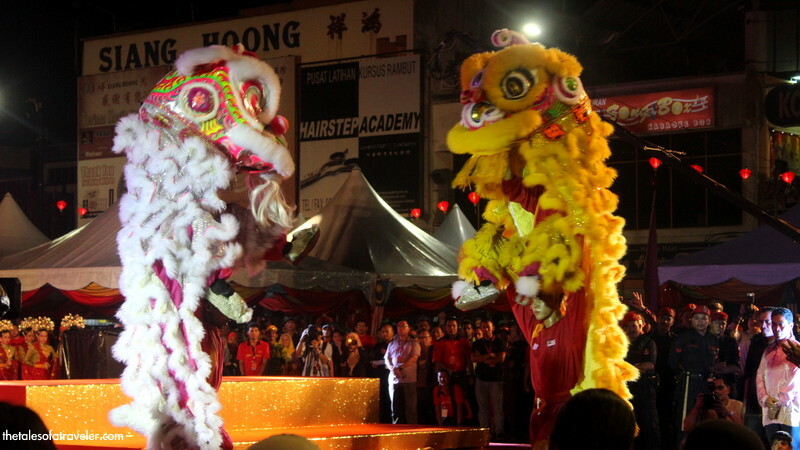 These performers are the world champions of lion dancing. 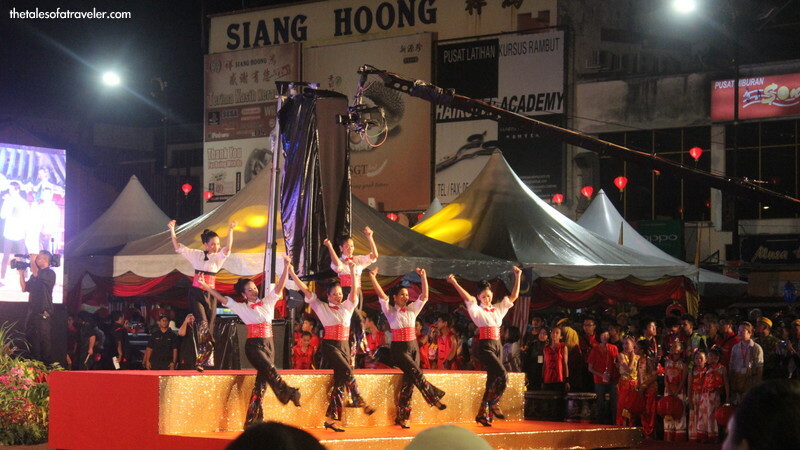 Numerous dance and music performances by artists who gave whole heart and soul into the performances. It was a visual treat. 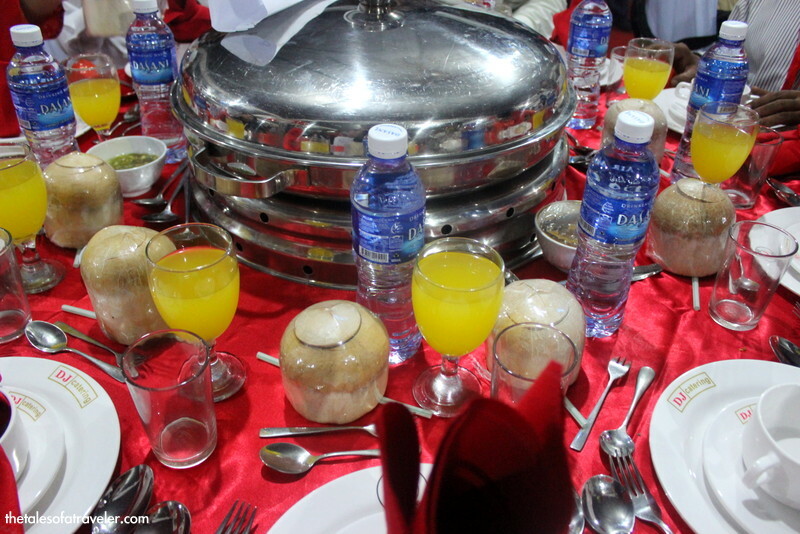 Here’re some of the highlights of the event this year in pictures. Hope you guys can figure out what a stupendous performance it was. And then entered the dragon to entice us. 🙂 🙂 which was phenomenal. 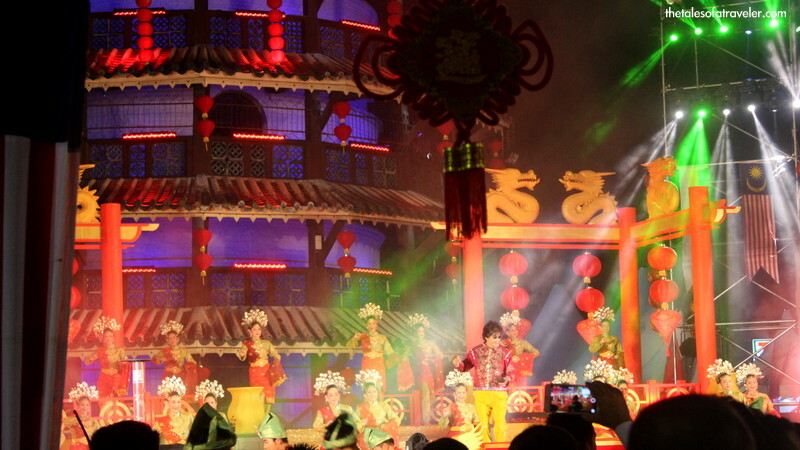 Will be posting a small video of some spectacular performance from Chinese New Year Open house 2015 at Malaysia. Be a part of our journey on Facebook, Twitter, and Instagram for more travel stories, ideas and photos from around the world. 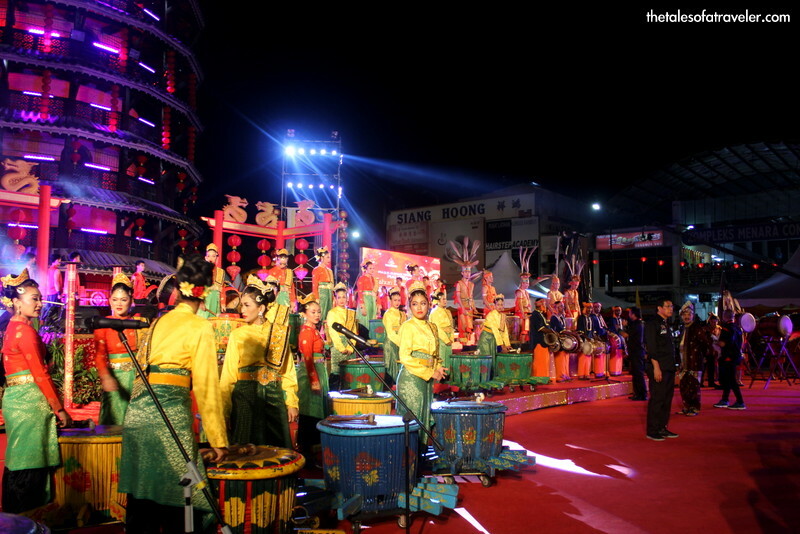 Colorful sight and festive fervour all around. Wow, the new year celebrations look great! That must have been thrilling to watch it in real! Great post with lively pics. Good to know about Hindi songs! Lovely Swati! 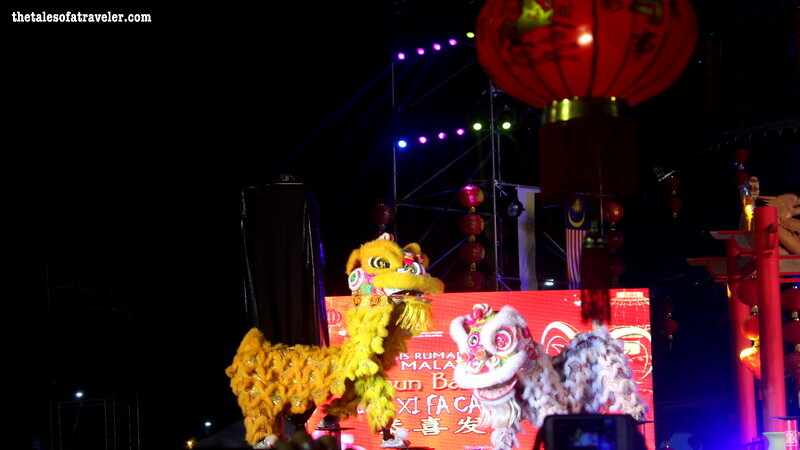 Teluk Intan and lion dance was mesmerizing. I love the way photos are taken so neat and clean! Great person way to describe the event. 🙂 Hope on to my recent ideas of solo traveling on my blog and let me what you think ?